Take advantage of a unique opportunity to experience the life of the islands in the small sleepy village of Olga. 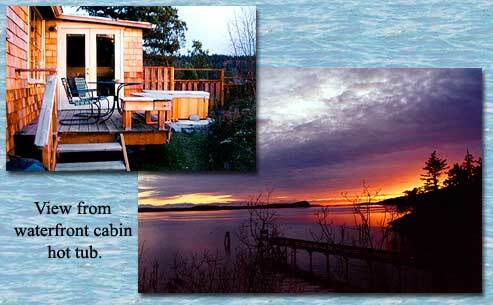 Off the beaten tourist track, you can relax in the privacy of your own small cabin. Watch for eagles, herons, otters and passing ferries. Spend the afternoon on the pebble beach, collect beach glass, read a favorite book or just daydream. Walk to the Cafe Olga and Artworks. Enjoy the famous blackberry pie and meet island artisans in their cooperative gallery. The Garden Cabin is a quiet modest retreat for the traveler on a budget. Comfortably furnished with a queen size bed, bathroom with a shower and a kitchen/living room combined for convenient cooking at home. Only steps away from the path to the beach and two short miles to Moran State Park for hiking or mountain biking. This cabin is especially suited for the busy exploring tourist. A quiet place to come home to. 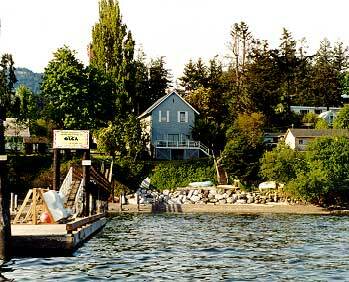 Orcas Island is the gem of the San Juan archipelago and accessible by ferry from Anacortes, 79 miles north of Seattle. Olga is located at the foot of Entrance Mountain and only two miles from Moran State Park, a 2898 acre paradise with 27 miles of hiking trails and seasonally determined mountain bike trails, panoramic ocean and island views and lakes for swimming and fishing. A convenient and quiet place to spend a vacation! I encourage long relaxing visits to truly experience the joy of the islands. For the summer season (June, July, August, September) I only take reservations for four nights or more until late spring. After that time I have a three day minimum. For the off season, I have a two night minimum. Occasionally I have one or two nights available on a short notice basis. 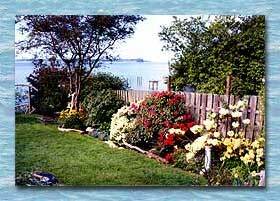 Summer Season: $170-200/nightly depending on number of nights. Off Season: Call for Rates. $60 - 80/night (depending on month and number of nights). Please call for information, rates, reservations and quiet season specials.